CBT3 on January 19th & Spiritshaper CGI trailer! We are happy to announce the third Revelation Online CBT which will be taking place from January 19th to February 2nd, 12:00 CET (3 am PST)! 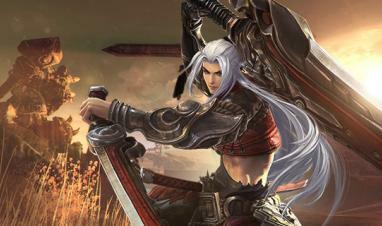 We are thrilled to announce that we will be increasing the level cap to 69 for our upcoming CBT3. This will allow you to try out our new and exciting content! 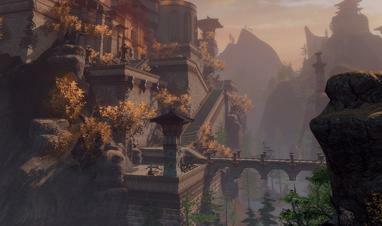 We’ll be sharing more information regarding the PvE and PvP changes very soon, so stay tuned! We will not proceed to do any character wipes so you are able to continue to enjoy playing on your characters from CBT1&2. Please note that you will be required to download another patch once the CBT3 client has been released. Please be aware that the CBT1&2 keys have been temporary and have expired (except the Founder Pack keys). But don’t worry, we have something in store for you! From January 10th (15:00 CET) to January 17th (11:00 CET), head to our Facebook page and enter our contest for a chance to win a key for our third Revelation Online Beta Key! We’ve got 250 keys for the Closed Beta to give away, and for your chance to start exploring Nuanor early, all you have to do is log in with your Facebook account in order to be able to enter our Instant Win contest. No one can be lucky all the time: If you didn't win right away, come back daily on our app for another shot! *Only within the limit of available beta keys stock. Remember, this is a closed beta test, with a limited number of players. Keep your eyes peeled on our social media channels and your mailbox as we’ll be giving out keys as we move closer to CBT3. If you don’t feel like leaving things to chance, though, you can guarantee your participation in the Closed Beta by purchasing one of the Founder Packs! Don’t forget to ‘Like us’ on Facebook, join us on Discord and follow the game’s development on Twitter @RevOnlineGame for all the latest developer updates and news. Learn how to battle your fellow players in our third Closed Beta! Closed Beta Test 3 Now Live! Revelation Online has now entered its 3rd CBT phase. Thank you for all of your tremendous enthusiasm and support. See you in Nuanor!